First, let me say that I love that you love the Tomato Video. I had so much fun putting it together, and even more fun making the dish. Thanks for all your great comments and emails. I took a much-needed break this weekend to visit my cousin, her husband, and their daughter, so I didn't cook. I'm tackling a few dishes this week, so there'll be a new food-related blog post up over the weekend or next Monday. 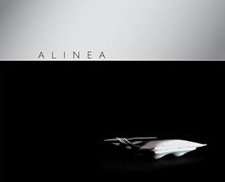 In the meantime, I thought I'd include some Alinea-related links and videos you might be interested in ('cause I am). David Tamarkin at Time Out New York did a great interview with Grant in their most recent issue. Click here to read the article. I find the title/topic of David Chang's December 6 Harvard lecture intriguiging: Creative Ceilings: How We Use Errors, Failure and Physical Limitations as Catalysts for Culinary Innovation. And, last but not least, I can't stop watching this video... and wondering if I can make food do what this water droplet is doing (particularly at the 1:40 mark): Bouncing Water Droplet on a Superhydrophobic Carbon Nanotube Array. I like the happy little bouncing droplet at about 1.17. Don't think that would work with food, though.